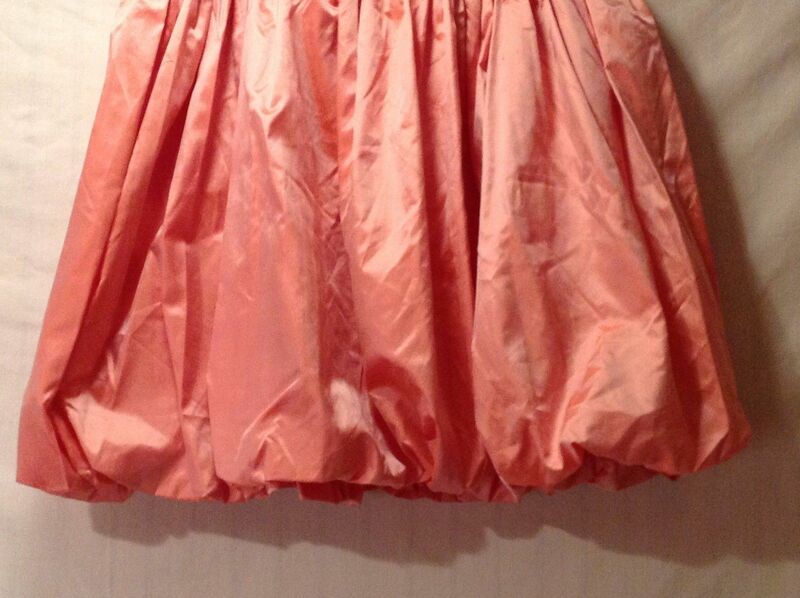 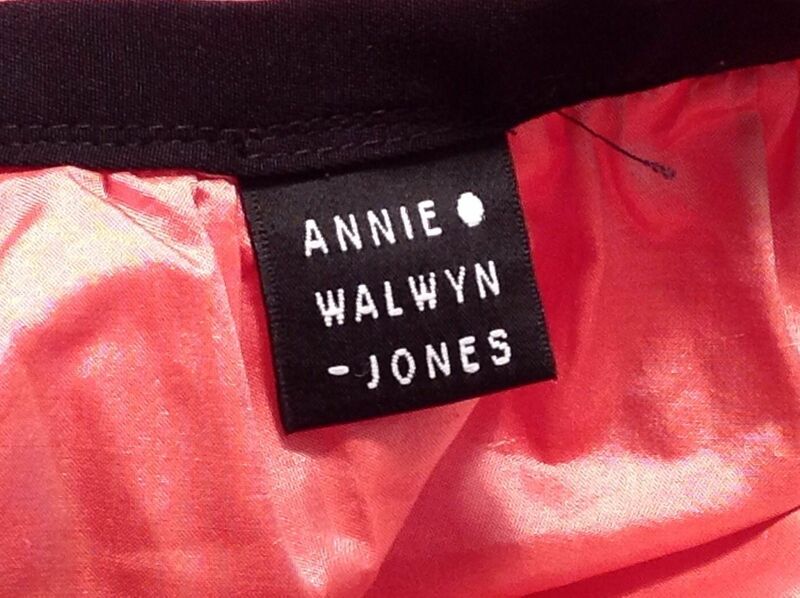 This is a preowned excellent condition poofy, taffeta, above the knee skirt by Aniie Walwyn-Jones. 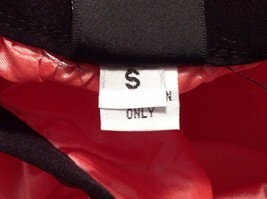 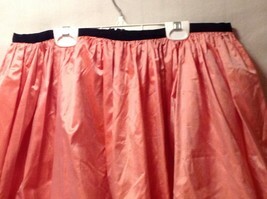 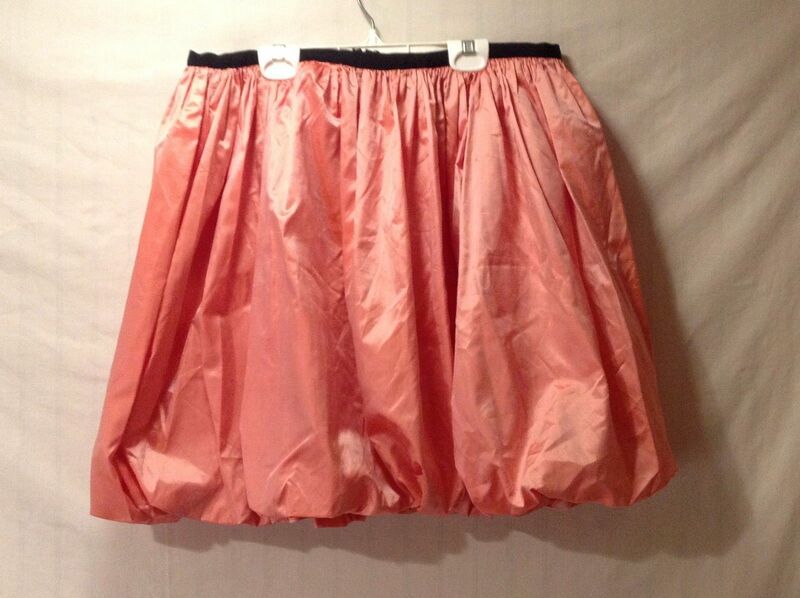 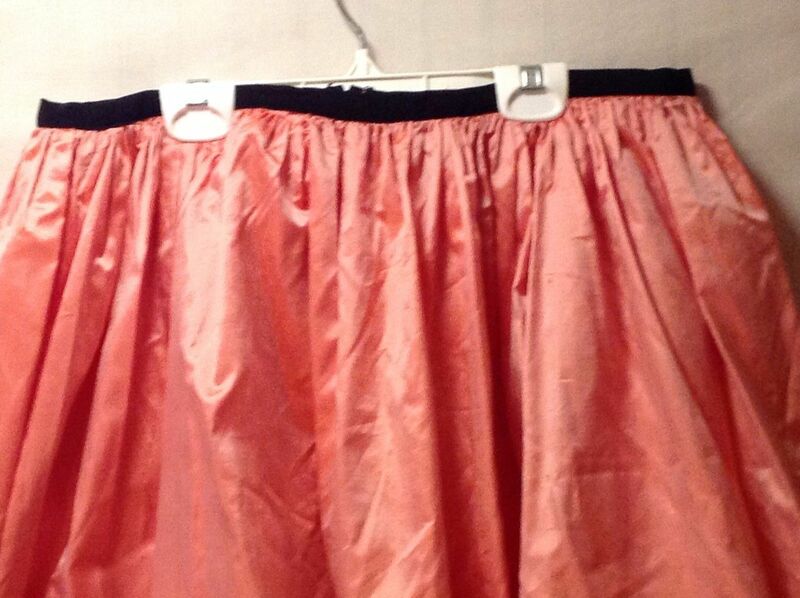 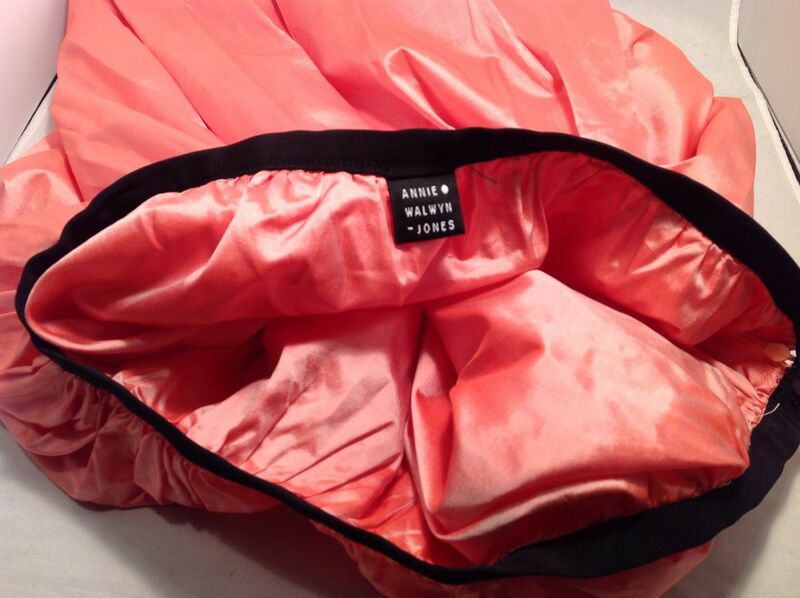 It is a salmon sherbert color with black piping and a size small. It zips in the back. 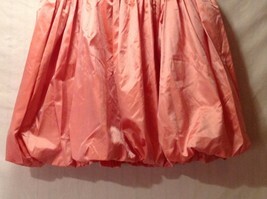 Width from Hip to Hip 33"